RoyalCanvas.com is a website that specializes in turning photos into affordable museum quality canvas. 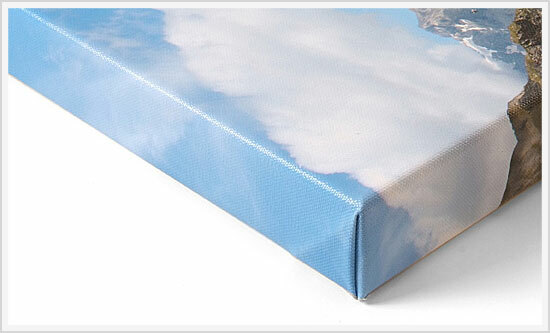 We have three popular options when deciding how to wrap your canvas print. “No wrap” means that your photo is printed on canvas, but it is not stretched around a wooden frame. A protective coating is then applied to the canvas. Customers that choose not to have their canvas wrapped will often wrap the canvas themselves once it arrives. Others simply want the canvas to hang on the wall without a frame. Choosing “Standard wrap” means that your canvas will come wrapped around a ¾ inch wooden frame. The canvas will actually wrap around the edges of this frame adding a 3 dimensional effect once the canvas is placed on a wall. For a “Gallery wrap”, we print the canvas and wrap it on a 1.5 inch frame. The thicker frame gives a more dramatic 3 dimensional effect once it is placed on a wall. 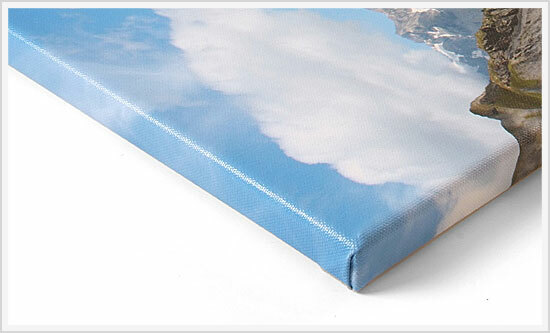 The 1.5 inch gallery wrap is by far the most popular canvas printing option. However, it is not always the best choice for every photograph or digital artwork. How much of my image do I want on the front of the canvas? If you would like your picture to wrap all the way around the frame, the edges of your image will not be viewable when looking at the canvas straight on. For most images, this is fine. But if there are details in the picture you want on the front of the canvas and you still want the image to fully wrap around the frame, a .75 inch standard wrap is the way to go. There is also the option of having the canvas wrapped so that the entire photograph is on the front of the wrap. The sides can then be black, white, or any color you choose. What options are best for large canvases? 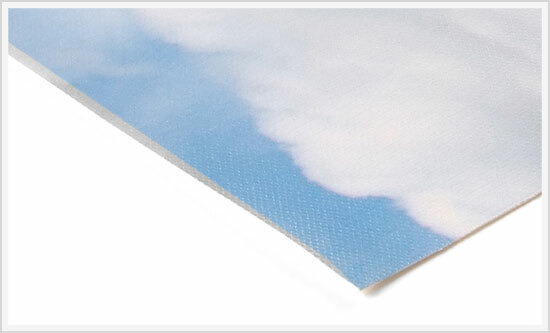 For larger canvases, which we define as 16 x 20 inches or greater, our customers usually prefer gallery wrap. At this size the 1.5 inch wrap isn’t too pronounced and looks great when hung on the wall or placed in a floating frame. What options are best for small canvases? For canvases 16 x 20 inches and smaller, our customers tend to prefer the standard .75 inch wrap. This allows more of the image to remain on the face of the canvas and still looks great on the wall. If you are unsure which wrap type will work best for your photo or artwork, we give free canvas printing advice. Our form will allow you to upload your photo, and our specialist will then review your image to recommend print sizes and wrap types that will work best with your picture.